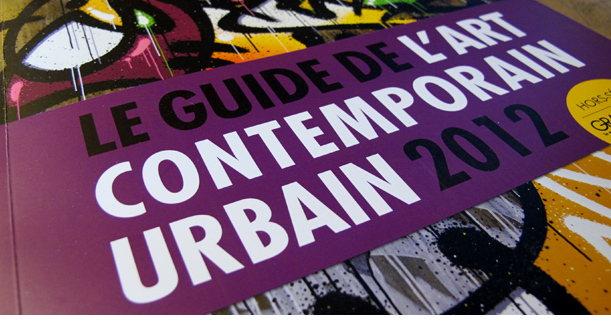 LE GUIDE DE L’ART CONTEMPORAIN URBAIN 2012. 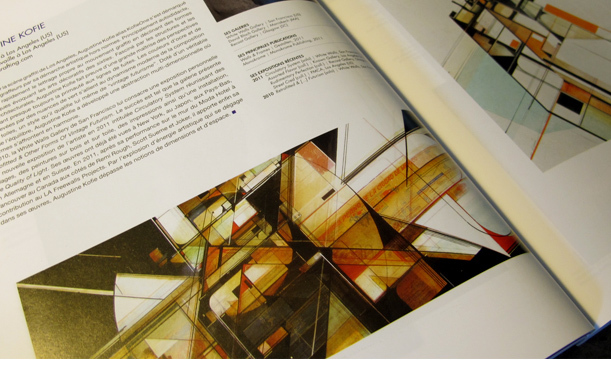 The beautiful 300 page issue brings together a selection of more than a hundred artists from both Street and Graffiti arts of today who had an important place on the art market in 2011. The guide is directed to the art lovers and the curious. A catalogue to learn all about this important movement of the twenty-first century. 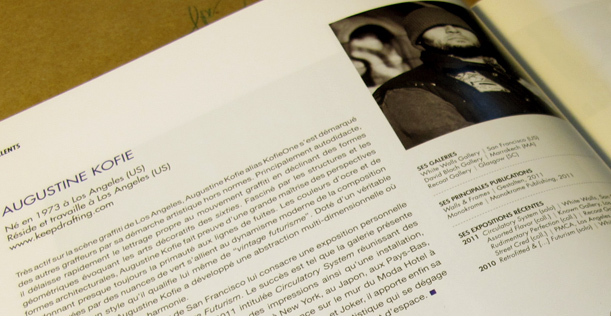 Many thanks to Sophie & Samantha of Graffiti Art magazine for the support! More information and purchase can be found here.